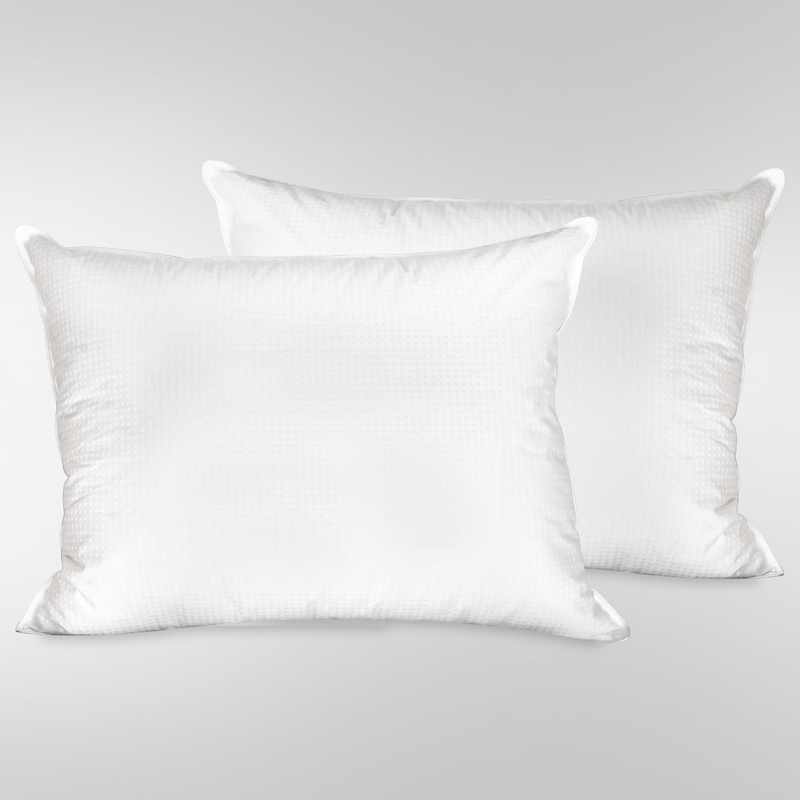 This bundle includes 2 of our luxurious Heirloom White Goose Down Swiss Dot Pillows in our Standard Size. 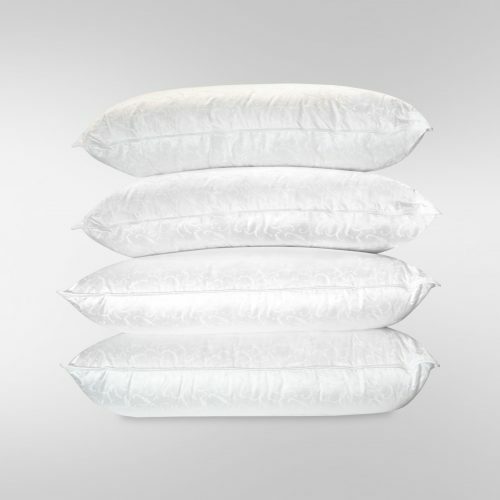 These beautiful pillows are filled with 700 fill power White Goose Down, and are encased in an ultra soft Swiss Dot Dobby fabric. 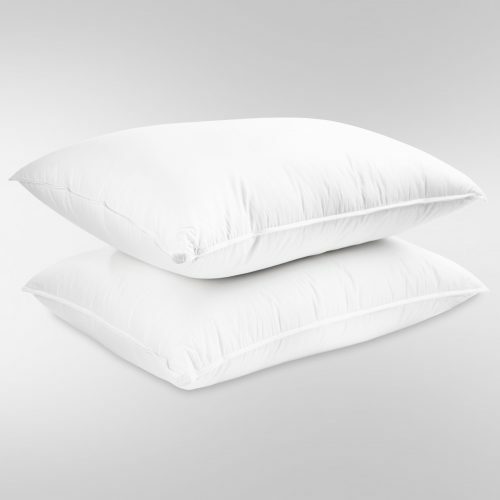 The ultimate in luxury, our Heirloom Pillows will provide an exceptional sleep experience night after night. Each of our Heirloom pillows are crafted to give your head and neck the optimal support and comfort it needs for a restful night. 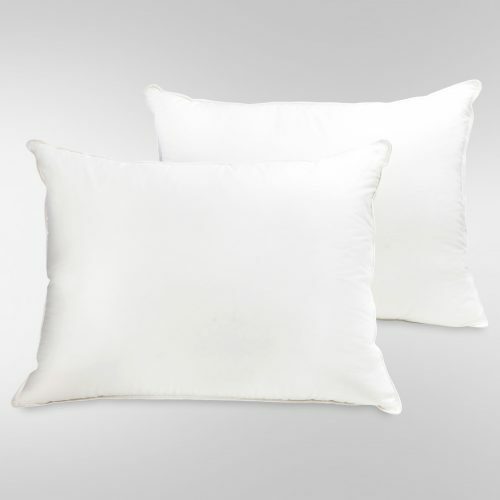 Pamper yourself with the cozy cushioning of our Heirloom Pillows and wake up feeling refreshed! The ultimate in Luxury. 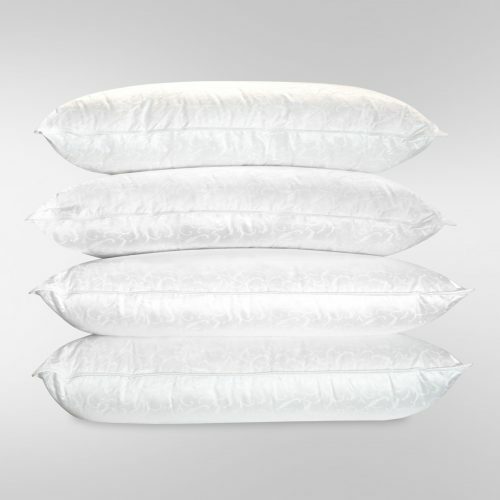 United Feather & Down’s Heirloom White Goose Down Pillow is made with our premium grade of 700 fill power White Goose Down selected especially for our Heirloom pillow. It is encased in fine 500 thread count Swiss Dot Dobby ticking.